The Breakfast Club is back by popular demand. Giving you your New Year’s dose of early hours grooving, and helping you see in the year as we all intend to continue it. 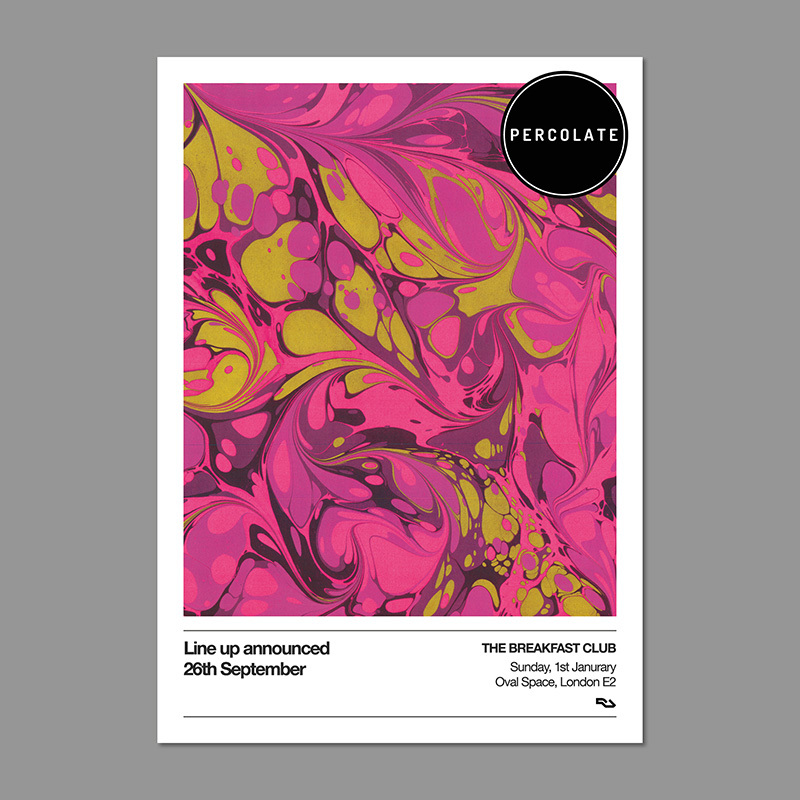 Once again we will be joined by special guests and friends of Percolate, for an intimate and informal session at one of our favourite little party spots in East London. Add to that (in what is becoming a bit of a tradition) the ever-wonderful Saoirse will be supplying us with a selection of the finest afterhours rollers about. It’s been a big year for the RA staffer since her stunner of a set last time out – this will be her 3rd Percolate @ Pickle, and it just keeps getting better! As per, we’ll have a breakfast bar on the go for your NYD essentials; Prosecco, Bloody Marys, croissants and some kind of free life affirming juice concoction.